One thing that really blows me away is when I am at the IAPAM’s Botox Training and someone asks about buying Botox from Canada, and someone ALWAYS asks! 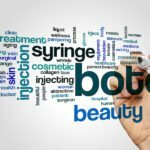 Physicians are told at our Aesthetic Medicine Symposium that they can buy Botox directly from Allergan (physicians can set up an account at https://www.botoxcosmetic.com/botox_physician_info/Account_Setup.aspx at www.allergan.com), or through US based buying groups who can save them up to $100 a vial. The danger in not appropriately sourcing your botox, is that the importation of cosmetic injectables can be a felony, subject to one year in prison and $100,000 in fines. In fact, in 2009, 5 physicians, a nurse and a practice manager in New York plead pled guilty to using botox that was not sourced through proper channels. Therefore physicians need to be careful if ordering botox over the internet at discount prices, because the botox may have been obtained outside of the US or it could be counterfeit. While it is true that Botox is about $100/vial cheaper in Canada than in the US (we can thank the FDA required review process for the increase), I think it is absolutely amazing that anyone would ethically tell physicians they can buy Botox from Canada and use it on patients in the US. What they fail to tell these physicians is that since the Botox from Canada is not FDA approved, you are not covered by your medical malpractice insurance, plus I’m sure your State Medical Board would not approve of you using a non-FDA approved drug in your practice! So if you are thinking of buying Botox from Canada to save $1/unit, you may want to think again! If you are thinking about adding Botox to your medical practice and the Botox Training program promotes you buying Botox from outside the US, run! Any reputable physicians association or physician botox training seminar will never promote you using non-FDA approved Botox. Botox and Botox Cosmetic are trademarks of Allergan, Inc.
Nope totally wrong. We can thank Allergan for their US pricing. They can price it however they want and they choose to price it high in the US like every other drug manufacturer.